We have now uploaded complete text of 8th Bipartite Settlement signed on 02.06.2005. You can see it by clicking on appropriate page. You can also download the Sailent Features of this Signed Settlement by Clicking the following link. Is it Achievment or Surrender ? All of you are aware that our parent organizations All India Bank Staff Association and All India P.N.B. Workers Federation highlighted the injustice being done to the retired employees and launched a sustained campaign against the romance of so called leaders of United Forum with the I.B.A. About 15 thousand employees all over the country joined the Signature Campaign launched by our parent organizations and because of these sustained efforts through circulars and media that this romance got exposed and United Forum and I.B.A. were forced to agree to provide for pension @ 50% of present basic. However there are still few points which raise doubts on the honest intention of retired and tired leaders negotiating for award staff of banking industry. We are highlighting here under the failure of trade union movement in achieving what should have been achieved and those dangerous clauses which have been inserted in VIII Bipartite Settlement to the detriment and disadvantage of Bank Employees and which may make their working life troublesome. What about officiating up to 6 days in a month? Is that means that for officiating in higher cadre up to 6 days-no officiating pay will be paid? Will such officiating not involve greater risk and responsibilities? Non-payment of officiating pay for officiating in a higher cadre for less than 7 days is justified because leaders have agreed. Is it not so? (3) In the matter of Computerisation/Machanisation and Technological upgradation, Banks have been given complete liberty and freedom. Go through these clauses relating to computerisation/mechanisation and technological upgradation carefully and then think over their impact on existing employees . 31 a. In the matter of computerization of banks’ business and technological upgradation of its operation, banks may decide on the level, type scope and extent of application, function and location of state-of-the art technology and equipments to the extent necessary. b. Arising out of business process re-engineering necessitated by introduction of state-of-the-art technology and equipments, banks may redesign and assign role, duties and responsibilities to their staff within the provisions of the settlement. c. Banks may utilise the service of staff for marketing and selling of different products of Banks/their subsidiaries/joint ventures or any other product of any agency / entity with whom the banks may have arrangements, based on their business needs and requirements. d. Banks may acquire/modify/change or discontinue businesses and business processes, wherever necessary. e. Banks may, arising out of technology, review the existing jobs, and work processes, systems and procedures and re-engineer them. f. Banks may switch to the single window and such other system of operations wherever so decided. g. Banks may adopt new systems and procedures which are demanded/facilitated by latest technology solutions such as networking of branches and centralized accounting, shared operations centers, call centers, processing centers, acting on electronically communicated messages, dependence on digital/electronic signatures and the like. h. While it shall be the banks’ endeavor to retain/re-skill staff and to develop in-house competencies, they may outsource IT and its related activities in respect of specialized areas where in-house capability is not available. i. The selection and/or placement of staff for work to make the fullest and most efficient use of the computerized systems/ devices/equipments etc. will be based on combination of skill tests, aptitude test, hands-on test and suitability, to be determined by the bank. j. The bank may, depending upon its requirements, resort to round-the-clock and seven-days-a-week working and staggering of working hours at its branches/offices/service units. Thus, negotiating unions have now said good bye to convention and practice earned through sustained struggle to have a say in the matter of entrustment of duties of special type and seletion of existing employees to perform such duties, extent of computerisation/mechnisation and technological upgradation and limiting it to such extent that it does not affect the existing employees, preferring potential of existing employees for new posts generated on account of such upgradation rather then encouring outside agencies and out sourcing etc. No time limit has been fixed for staggering of working hours. Banks can fix them at their whims and fancies in such a way that employees will have to come at morning and evening in lieu of payment of token money as staggering duty allowance. This Special pay duties do not include the routine duties of the cadre (clerical / subordinate) which a workman has to normally perform; but merely refer to those special allowance duties which if performed in addition to the routine duties will entitle a workman to a special pay on the terms and conditions provided in chapter V of the First Bipartite Settlement as modified. (i) Acknowledgements of inward mail received. (ii) Receipt of cheques, drafts, dividend warrants, pay orders and other like instruments other than bills and giving acknowledgements in the counterfoil. (iii) Delivery of cheque books subject to authroisation by competent authority. (iv) Issue of cash receipts. (v) Issue of E.S.I. stamps wherever applicable or may become applicable. (vi) Recounting of currency notes by cash department staff. (vii) Ensuring the proper co0ntents in covers and envelopes including registered ones before dispatch. 1) Passing independently, manually or online, cash instruments up to Rs. 35,000/- and clearing and transfer cheques vouchers etc., (whether credits or debits) up to and including Rs. 1,50,000/- Passing will include verification of signatures and scrutiny as to the correctness of endorsements on and other particulars of such instruments. There shall be no limits for verification of signatures, passing of authenticated credit vouchers/entries and for verifying authenticated vouchers in the ledgers, books, computer print-outs etc. (6) Computer Operator ‘A’ (without passing powers) will wherever and whenever required function as a single window operator where he will also receive and pay cash. (8) Checking/verifying would mean verifying that the instrument / material checked is in order in all respects and also includes verification of signature irrespective of the amount of the instrument and authenticating the same on the instrument / material, initialing the relative entries in the respective books of accounts, manually and/or on line. (9) Henceforth, selection of staff for being entrusted with special pay carrying posts shall be on the basis of their suitability for the specialized function, norms for which shall be decided at the bank level. (i) A workman in the non-subordinate cadre is liable to be deployed anywhere within a ‘District’, irrespective of the distance involved. (ii) In case necessitating deployment outside the District, the workman concerned may be deployed to any branch/office of the situated outside the District up to a distance not exceeding 100 km. From his present place of posting. (iii) Bank may identify, based on length of stay at the center/branch/office, the number of workmen employees, to be redeployed from each center/branch/office to meet its requirements. (iv) The period of deployment shall be 2 years in a difficult center decided by the bank in accordance with the Government guidelines and 3 years in other centers. (v) Repatriation to the original center shall be after serving in the deployed center for period as in (iv) above. In case it is not administratively possible for the bank of repatriate the employee to his original center after the above period, the employee may be required to give 3 centres of his choice so that he can be transferred to any one of the centres opted by him. (vi) Female employees above the age of 55 and male employees above the age of 56 shall be exempt from redeployment. 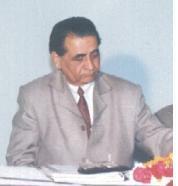 However, if the required and eligible number of employees are not available to be deployed in terms of the Settlement, the age norms as above may be suitable relaxed up to the age of 58 years so as to ensure that the required and eligible number of employees are deployed to be identified centres. ((x) A workman in the non-subordinate cadre so long as he serves in the deployed center shall draw a lump sum amount of Rs. 400/- p.m. (not ranking for any other benefit) besides protection of emoluments drawn at the original center. These shall cease on the employee’s repatriation to the original center. (xiii) The above provisions on deployment are without prejudice to the provisions of paragraph 535 and 536 of the Shastry Award relating to transfer of workmen. All India PNB Workers Federation to which PNB Workers Union, U.P. is affiliated is the only Union hearalding the cause of PNB employees in real and true sense. At a time when so called No. 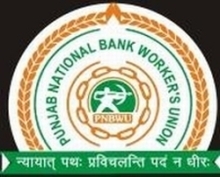 1 and 2 Unions operating in bank are ruled by Retired and Tired leaders and instead of safeguarding the interest of employees have become agencies to fulfil management's aspirations, PNB Workers Federation has taken up the challenge and is fighting tooth and nail to nullify nefarious attempts and bringining suceess after success. The first decade of its inception has created glorious history in the banking sector. Operating as a trade union is not easy, but building an effective web site can make a huge difference in increasing responsiveness and employees satisfaction. We hope you'll find the information you need on this site about our Union and various issues confronting the Bank Employees in general and PNB employees in particular and services we provide. We look forward to working with you and improving further to sub serve your expectations. Punjab National Bank Workers Union, U.P. for not only your able leadership but for the courage and conviction with which you are fighting against anti employee policies and corruption of Top Executives of the bank.